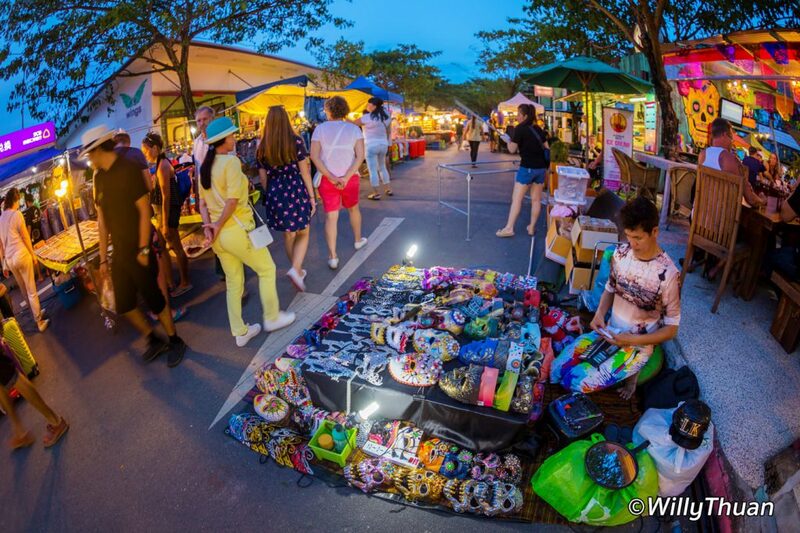 Fun Friday Avenue Market is a small weekend market popping up every Friday evening at the Boat Avenue on the way to Phuket Laguna. It’s modest in size but fun to visit if you are staying in the Bangtao Beach area. 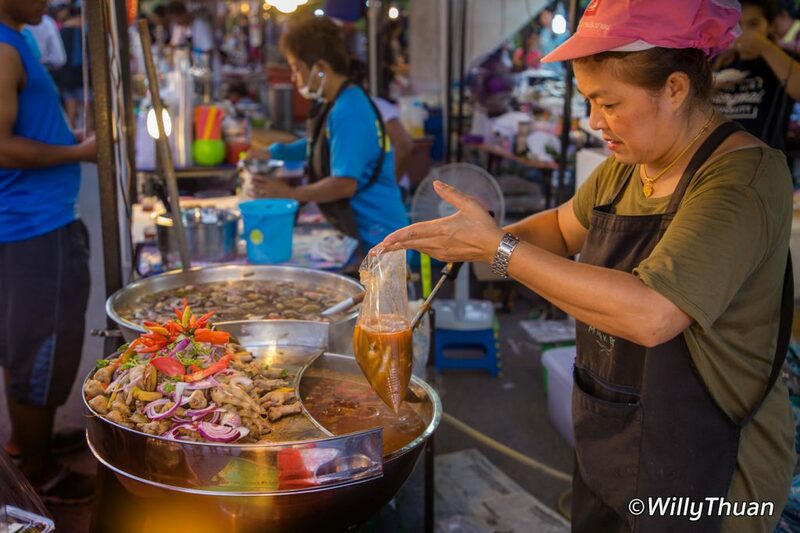 Night markets are part of Thailand life, and wherever there is a market, there is a crowd and lots of food! Boat Avenue is a neighbourhood made of shop-houses and restaurants in a strategic location near Tinlay Place. If you are new to the area, Tinlay Place used to be the only place alive at night, but things keep changing in Phuket. 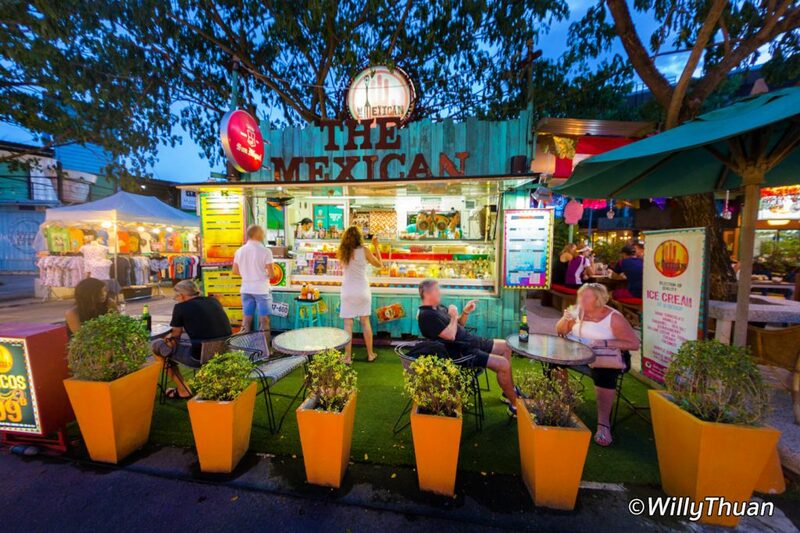 The Fun Friday weekend market add some life to the Boat Avenue. 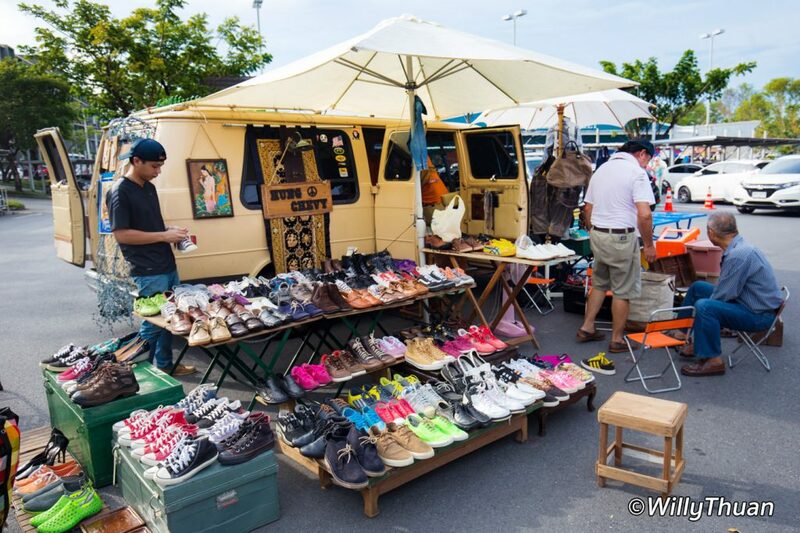 It’s nowhere as big as the famous Phuket Weekend Market of the Chillva Market, but there is a still quite lot to discover. If your hotel is around Bang Tao, you’ll soon find out there is not much local life going on so that market is an excellent addition. It’s lively, colourful and a fun way to end your day. The shopping itself is not impressive, lots of tee shirts, shoes, cotton bags, mobile accessories and suitcases. What is more interesting is a large amount of food to enjoy if you are in a challenging mood. This market is a chance to try things you never saw before, don’t be shy. There is a lot of grilled meats and fish, fried noodles and stewed ‘things’. 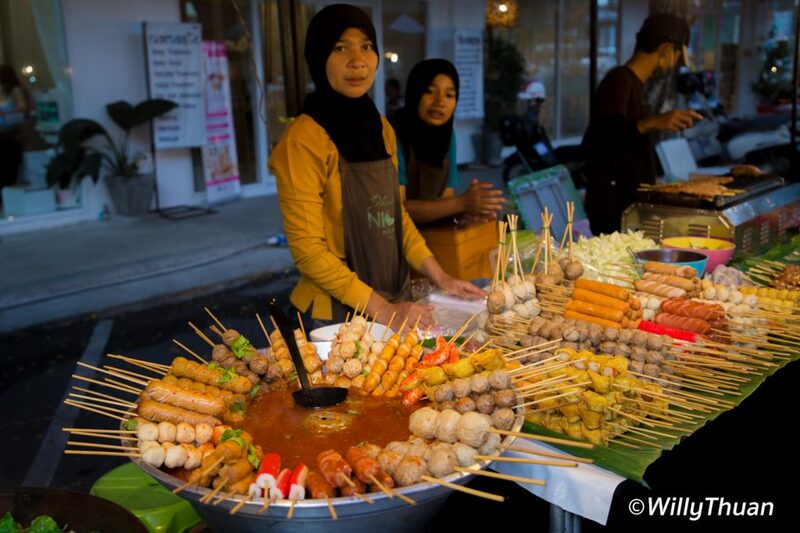 Thailand produces a lot of meatballs and fish balls but they are a little rubbery, and it can be hard to tell what’s inside. You’ll find plenty of smoothies, salads and Som Tum too. We always love the big fish barbecued in a salt crust. The meat is moist and tender, and it has that superb smoked tasted to it. Buy your food and enjoy it at one of the many outdoor tables near the small stage were singers play. If you are not hungry yet, don’t miss ‘The Mexican’. This permanent little bar serves some excellent Mojitos and Margaritas at 99 baht per glass among other exotic cocktails and ice creams. It’s cute and placed right in the middle of the market so you can’t miss it. Once done with your exploration, you can always get some shopping done at Villa Market. They have a surprising amount of imported groceries and a lot of useful goods. Their wine cellar is also impressive. 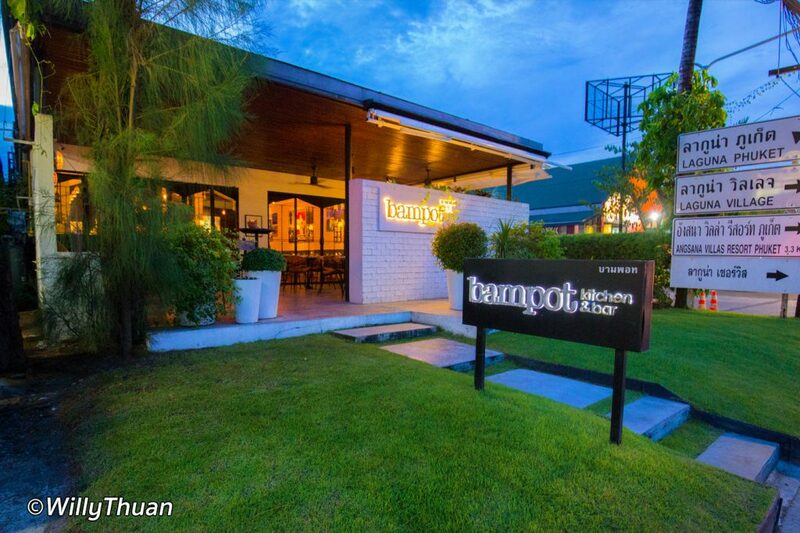 If none of any local food tempted you or if you are looking for a little more sophisticated dinner, you should try Bampot Kitchen. It’s just next to the market on the way to Laguna Phuket. It’s delicious, the restaurant is well designed, and it comes with air-conditioning.